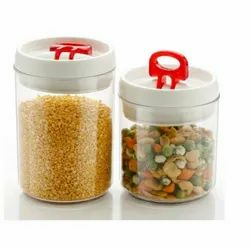 Enriched with years of experience in the industry, we are engaged in offering Airtight cereal storage Plastic containers. 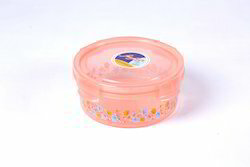 We are offering Multicolour Plastic Container. We fabricate an exquisite range of Plastic Containers for Pesticides/Chemicals to meet the various requirements of our clients in the national markets. Our experts make use of qualitative raw material to ensure durability and stability under various temperatures. We also customize as per the specific requirements of the clients and deliver the range within stipulated time period. Endowed with the best of machine infrastructure at our company end, our firm has been able to deliver with a very resolute and stern delivery of Plastic Containers. Dream Home Plasto Ware Ind. Minimum Order Quantity- 1000 Pieces. Backed ourselves with deft personnel, we are readily occupied in presenting to our clients a wide and commendable collection of 10Kg Plastic Container. These could be acquired from us at rock bottom rates. Our organization is one of the reputable suppliers, exporters and traders of a wide variety of Household Plastic Containers. The range is known for quality, high storage capacity and excellent material strength. Primarily used for storing and packaging paints, the containers are specially designed for this purpose. Having years of experience in this field, we are capable of providing our clients with Plastic Boxes. All our boxes are widely appreciated by the clients due to their durability, abrasion resistance, and wear & tear resistance.